Labor Day weekend brings more work, not less for the Demon Rally Team. 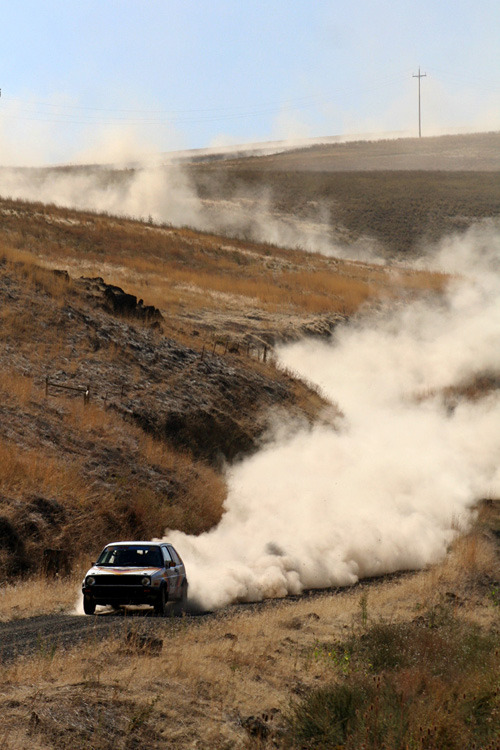 The team traveled up to Skagit County in Washington for an initial shakedown for their newest rally assault vehicle. The Spitfire EFI crew came down from Bellingham and Brendan from Ralley Tuned traveled up with the team for testing. Both Spitfire EFI as well as Ralley Tuned have been integral partners in developing a phenomenal engine management package specifically designed and programmed with the Demon Rally Team’s racing needs in mind. Testing thus far has been incredibly successful. Our first shakedown of the car revealed only a few minor issues. Our main goal in the first session was to check our fresh JVAB rally suspension as well as our tuned spring package. 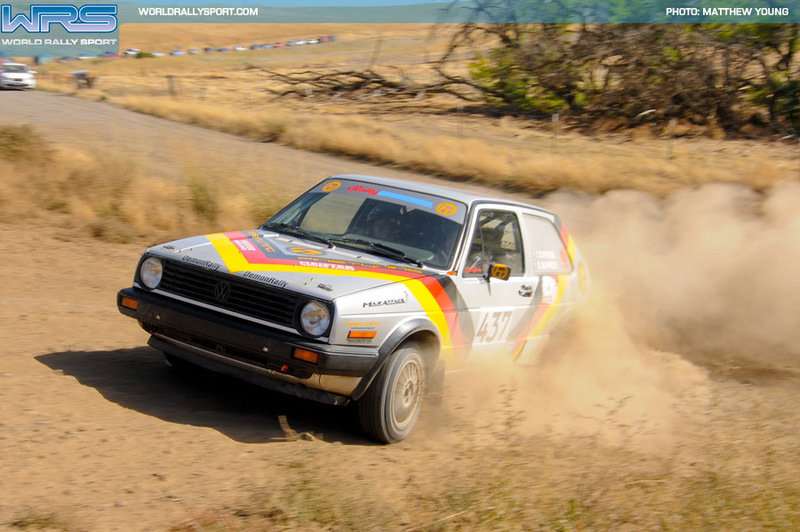 With help from Josh Wimpey we were able to get some very helpful input on spring selection, since they had been running a similar JVAB designed suspension on their own very quick Golf. 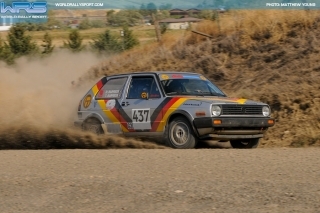 We were able to run the car at very high rates of speed over some very treacherous terrain without incident, and with incredible predictability. The suspension testing went as planned if not better than planned, we don’t anticipate a spring or dampening adjustment in the near future with our current JVAB setup. 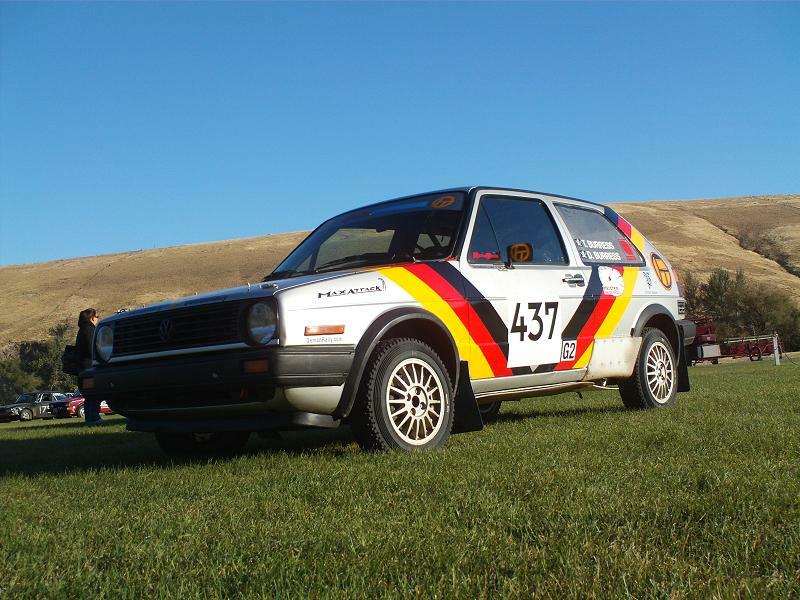 In comparison to the rabbit we have an amazing amount of travel and feeling with the Golf, hopefully that will translate into some very fast stage times at our next event in Pomeroy, Washington September 25th-26th at the Wild West Rally. Our second testing session was successful as well. We returned to our shakedown location for another run through the Skagit County woodland, this time we chose to run the car at night to check how the car ran with a full load on the alternator with our light pod installed. While the car had no problem managing the electrical load the extra lighting taxed it with, I started to notice a few areas in the car’s tuning that needed some attention. A clunk in the strut top started to grab my attention along with the tuning issues and we chose to call it a night after only a few runs at night through the woods. Overall it was an incredibly successful shakedown. We discovered a few minor issues that would’ve been annoying at an event but certainly wouldn’t have caused a DNF. We are well on our way to debut the car at the Wild West Rally. Look for images and video of the car from this weekend’s testing session to be posted soon. Thanks for checking in. As always, we’ll see you there, sideways! You are currently browsing the archives for the Car News category.